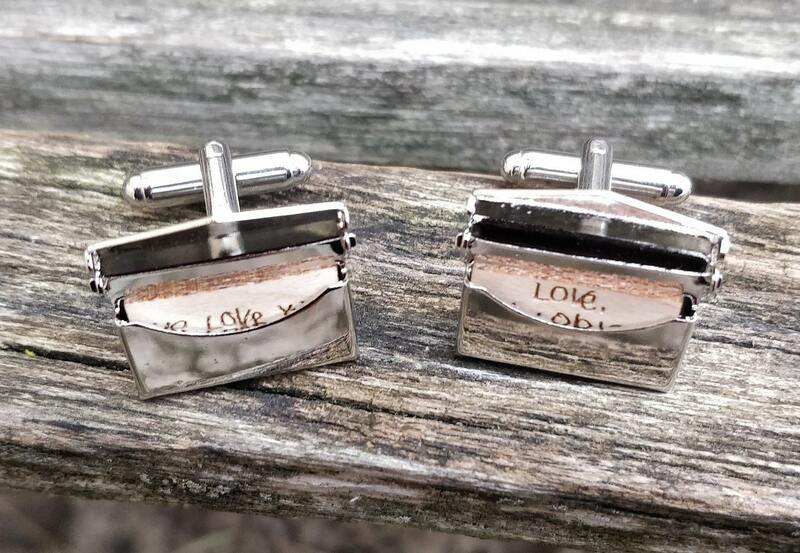 Handwriting Envelope Cufflinks. 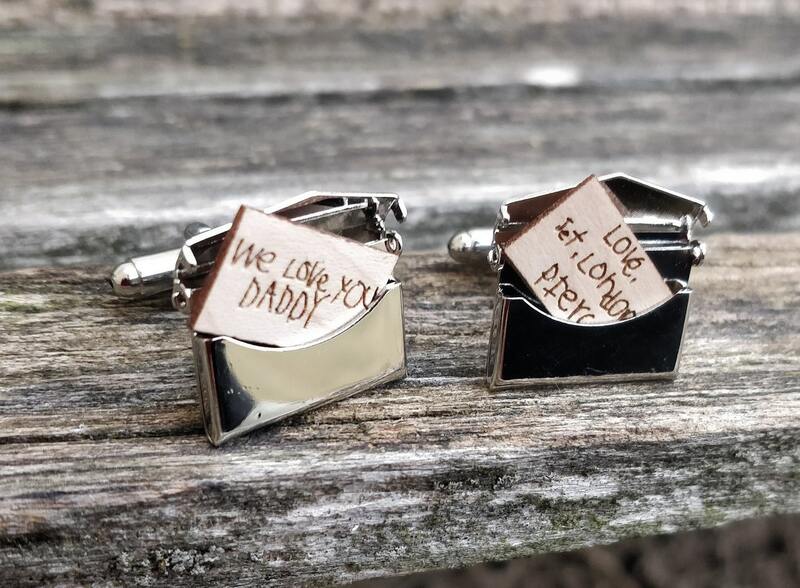 Father's Day, Wedding, Groom Gift, Anniversary, Birthday. Unique, Personalized, Custom. Kids. 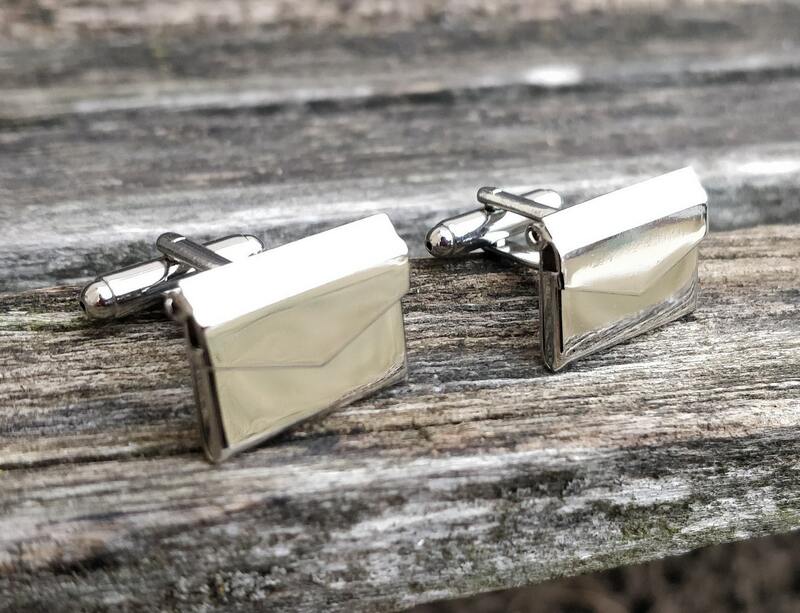 These envelope cufflinks are custom made. 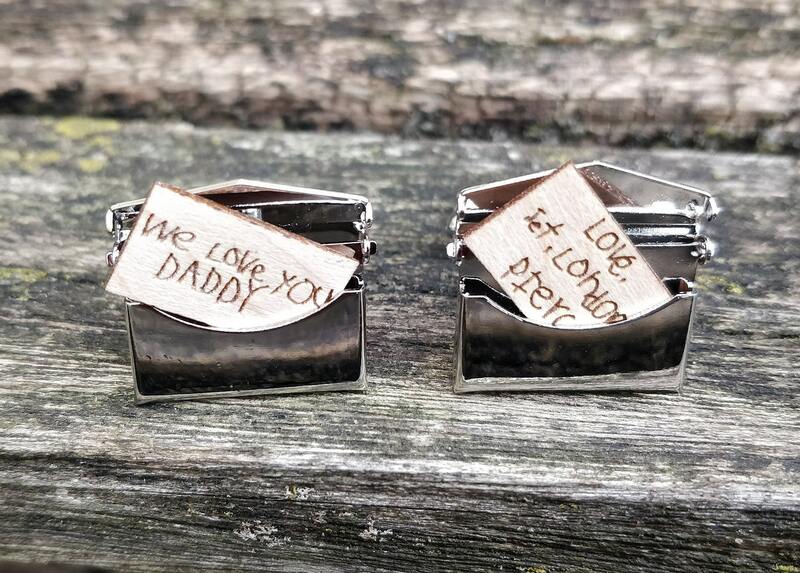 Each cufflink has a wood letter inside, which can be engraved with a kid's or adult's writing. 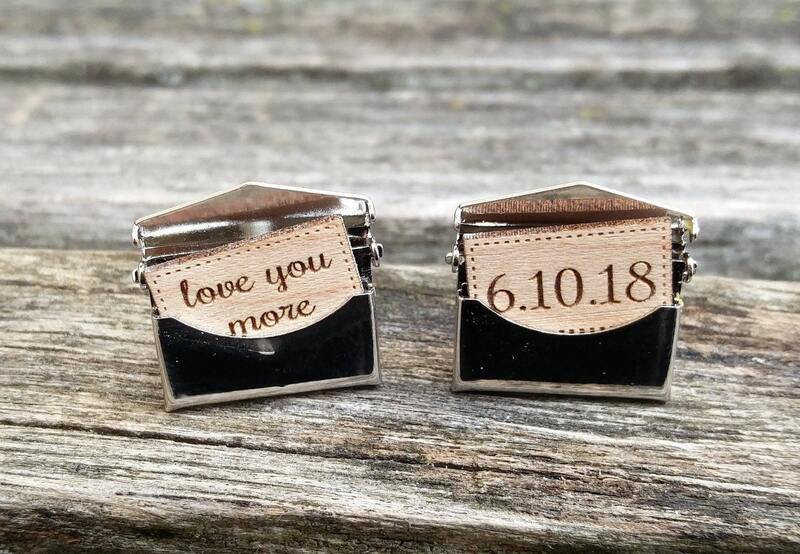 The letters go inside the cufflinks and they actually open and close! 2. Send a message to our store after purchase with your handwriting photos attached. ***The handwriting must be very simple! Using a thick Sharpie is a good way for us to get a good transfer. This listing is for one pair. The envelope part measures 3/4" x 1/2". 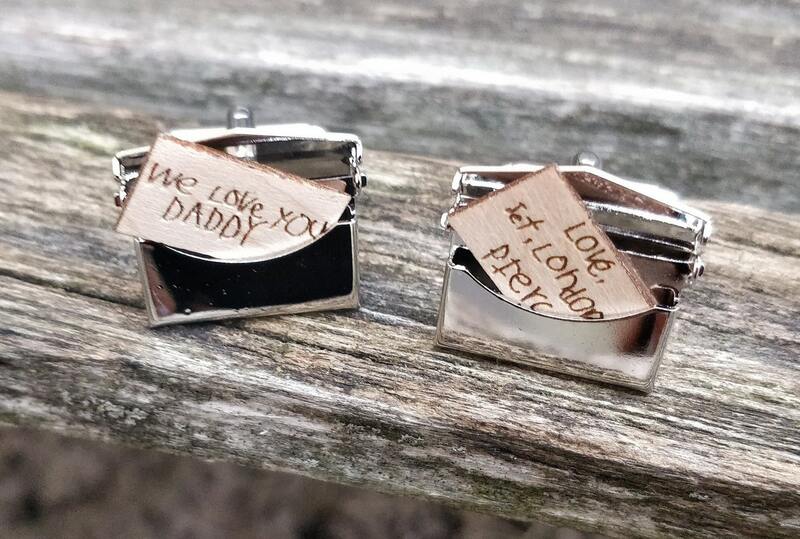 We can make these cufflinks say whatever you want. 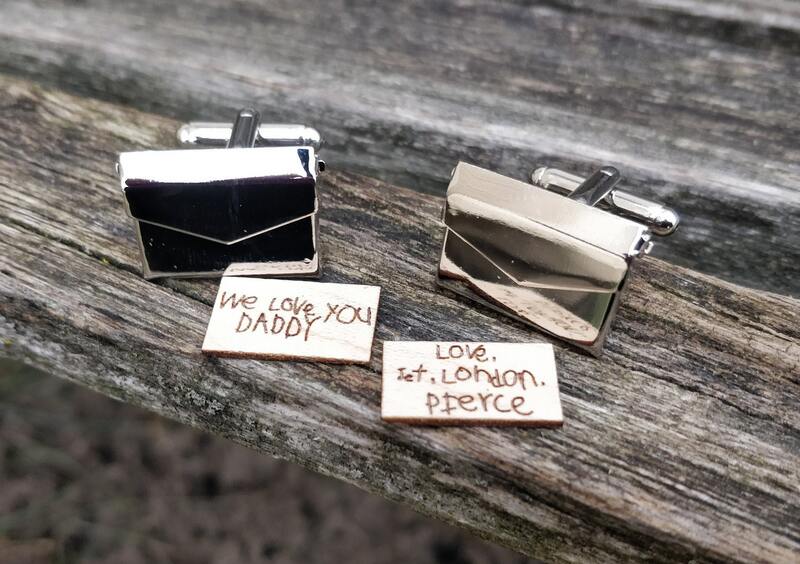 If you would like a custom order, please leave a note at checkout or send us a message.